Quite simply, what is the difference between Unique and New Visitors in Google Analytics? I trawled the Web for ages to find a good example of how to explain this. Ultimately, I decided it was best explained as a flowchart. A visitor is defined as Unique upon their very, very first entry to the site. 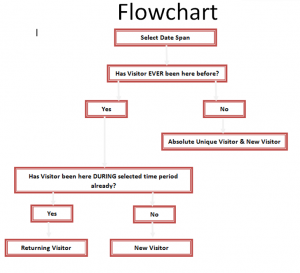 A NEW visitor is a visit that is new in the selected time scan, say 1 – 31 March 2009 – if a user is re-entering the site for a second or nth time during the timespan, then they are recorded as a returning visitor. Hopefully, you will find this flowchart a succinct explanantion. 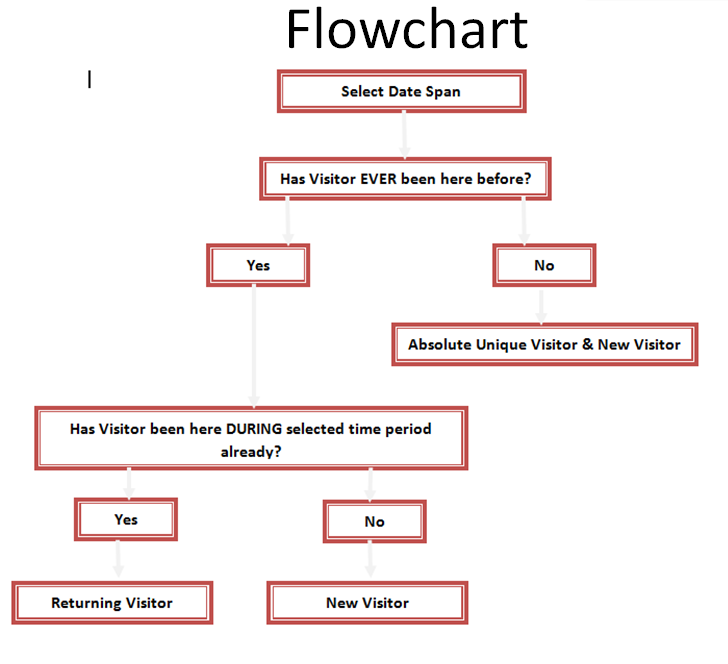 11 Responses to Unique Visitors vs. New Visitors in Google Analytics – What’s the Difference?